As a young family starting our cattle program, MBCC has really helped us make tremendous progress with both their advice and high quality genetics. We have been more than pleased with the consistent quality, condition, and temperament of our bulls over the years. The MBCC crew is always willing to go the extra mile for me with years of knowledge in the beef industry. This past year we have really backed up MBCC’s words with having zero birthing difficulties . These calves simply “Do it on their own” with almost zero extra labor on my part and that is a big deal in my book. I purchased my first bull from MBCC in 2009. I have bought a bull every year and am very pleased with the quality, performance , and the dispositions of the bulls. They met all specifications. I will continue to buy bulls from Midwest Beef Cattle Consultants. The 90D Balancer bull I bought in the spring of 2017 bred 20/20 cows and heifers in my 45 day spring breeding season and 16/16 cows and heifers in the 45 day fall breeding season. I have had 7 calves in the last 10 days. The calves are healthy and energetic. Thanks for the quality bull. I am very pleased with the bull and look forward to buying more bulls from you in the future. We have purchased four bulls from MBCC over the past several years. All have been sires that have improved our genetics, had calves that were healthy and gained weight quickly and looked great. We had one of the four that had a disposition problem and we found out that Dr. Hilton’s guarantee was as good as he said it was. We took him to the sale barn and Dr. Hilton refunded the difference of our purchase price and what we received from the sale, it is great to know that this guaranteed is as good as it sounds. This year’s calving season was one of our easiest and most uneventful! 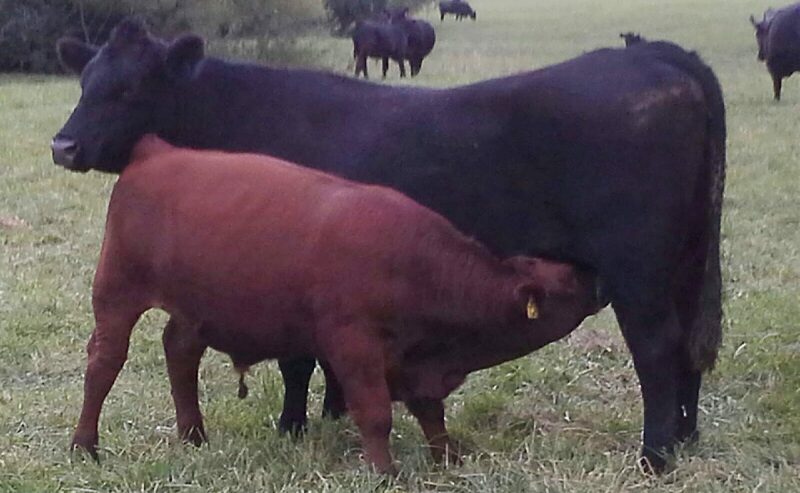 We purchased our first Balancer bull for its calving ease and calf vigor. He was everything that he was advertised to be. Our calving season was worry free, even for our first time heifers. We are very pleased with the growth of the calves, as well. This bull was a great investment. I’m on my 4th bull from MBCC. I bought one sight unseen and he was just as good as those I came and picked out myself. The Balancers work great on my SimAngus cows to add hybrid vigor to my calves. I’m too old to buy the wrong bull! That yearling bull that you just bought will be a six year old before you have enough daughters in production to know what you really have; you will know calving ease and growth sooner but to really know what you have takes years. I used an Angus bull whose calves had a lot of grow, but he left with the hardest keeping, starve to death in the winter and not breed back in the summer cows you’ve ever seen. I used a Gelbvieh bull that I bought from another breeder; love everything about his calves except about one out of ten of his daughters, as 2 year olds, have the biggest front teats I’ve ever seen. It will take years to get those genetics out of my herd. When I went to Indiana the first time, I didn’t go to buy a bull but to access a breeding program that for 30 years had practiced the philosophy of “Your cows are supposed to work for you, not the other way around”. That’s what I’ve found; sound useful cattle, no hype or promotion. Mark Hilton, Tom Brooks, and their team are good people with whom to do business. I’ve purchased 7 bulls in 4 years and I plan on being in Indiana again in March 2018. We have been buying bulls from MW Beef for over 10 years. The quality and guarantee on their bulls are unmatched. The friendship and relationship that has developed during this time is a bonus to the positive results we see in our genetics that translate to increased profitability for our operation.